If you are looking for a place where you can get crispy waffles filled with a lot of chocolate, then The Waffee on Bhagat Singh Marg is you go-to place! 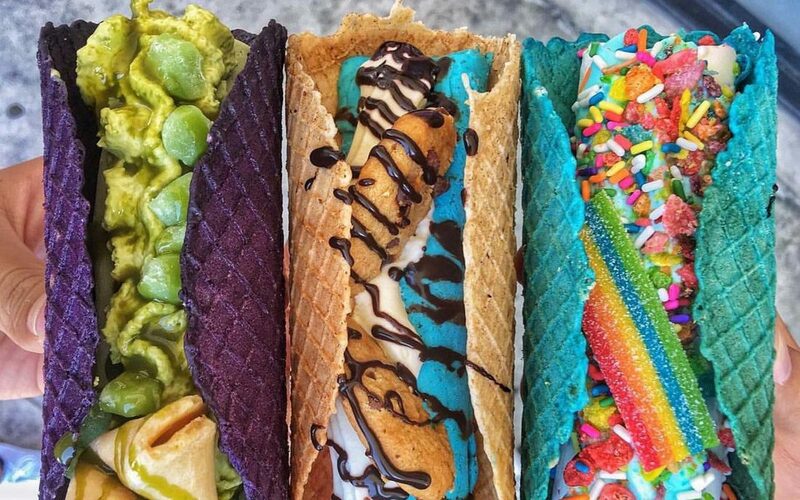 They have introduced the never tried before concept of Cotton Candy Waffles! And guess what? They are everything you can dream of! Imagine cotton candy and chocolate, our two childhood favourites all in one dessert!! 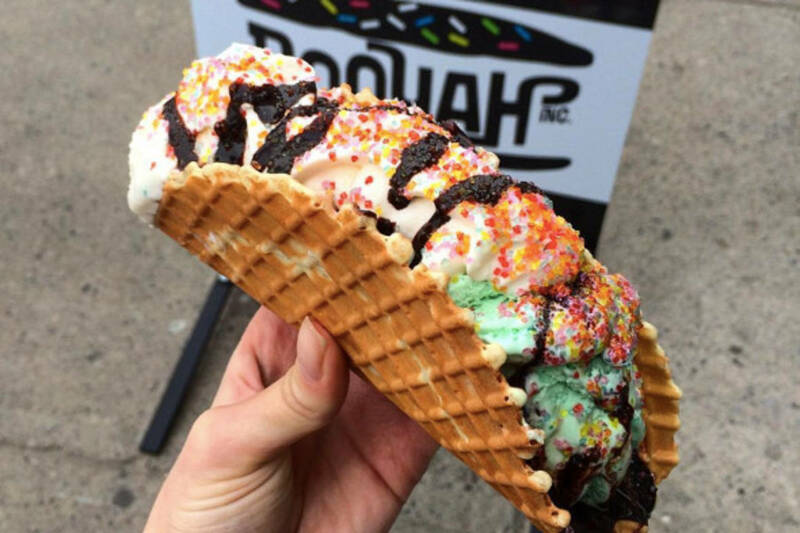 They also serve innovative Ice Cream Tacos which is every ice cream lover’s dream! Their menu also has an extensive variety of shakes. Their Bubblegum Shake is sure to awaken the child in you along with a slice of their scrumptious White Chocolate Waffle! The eatery is not very big and has a seating arrangement for only six to nine people max, but one won’t mind waiting for the sugary price at the end! We are headed there, what about you? This Airbnb In Mumbai, 10 Mins From The Sea Is A Secret Nobody Knows Of!